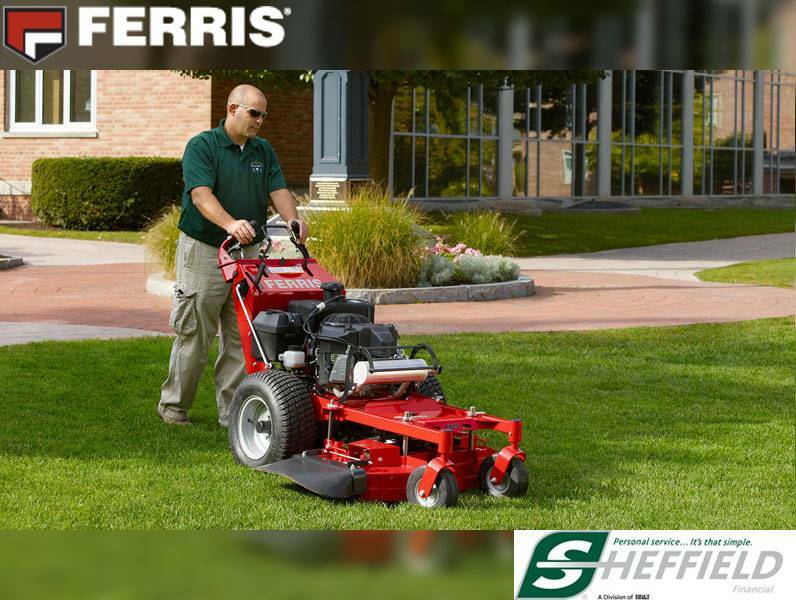 DEBRIS MANAGEMENT: Briggs & Stratton Commercial Turf Series™ engines are built with the ultimate in dust and particle filtration, an advanced debris management system and beefed-up cylinder block structure. PATENTED SUSPENSION: Suspension system consists of rear coil-over-shocks with dual cast-iron maintenance-free suspension arms (shown) and front independent adjustable coil-over-shocks. MOWER SPINDLES: Cast-aluminum greaseable spindles feature 1 in. shaft with 2.5 x 1 in. dual ball bearings with top access grease fittings and pressure relief valve. CUT HEIGHT: Foot-operated deck lift, with adjustable pedal, can change cut height in 0.25 in. increments from 1.5 - 4.5 inches. MILES PER HOUR: Ground speed is up to 10 mph (48 in.) and 8 mph (44 in. ), reverse 4 mph.